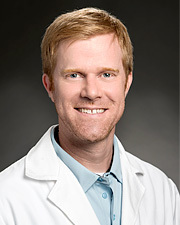 Brian Heaps, MD is a graduate of Brigham Young University and earned his medical degree from Virginia Commonwealth University School of Medicine. He went on to complete his residency training in Obstetrics and Gynecology at The University of Texas Health Science Center at Houston now known as McGovern Medical School at UTHealth. A member of the American Association of Gynecologic Laparoscopists, Dr. Heaps has extensive experience in laparoscopic surgery and his clinical interests include minimally invasive surgery, procedures for permanent birth control and heavy bleeding. He has received prestigious awards for his work in laparoscopic surgery and authored a book chapter on matrix biology and preterm birth. Dr. Heaps focuses on education, breastfeeding, diabetes, hypertension and managing other health issues during pregnancy. He strongly believes that it is a privilege to be involved in the birth of a couple’s child and he treats every patient with the utmost of care and concern. Dr. Heaps serves in a number of leadership roles at Memorial Hermann Sugar Land Hospital. He resides in Sugar Land with his wife and three sons and enjoys spending time with his family and volunteering on the Houston Rodeo Health committee. UT Physicians is expanding access to a nationally approved prenatal app that allows obstetricians to remotely monitor their pregnant patient’s progress and health.